If your restaurant is like most, you depend on increased sales through the weekend to keep you afloat Monday through Thursday. While it may never be possible to recreate your Saturday night rush on a Wednesday afternoon, there are steps you can take to get the most out of your slowest hours. Follow these tips to boost your sales through your Midweek slump. While standard happy hours usually start when office workers can leave their cubicle, there’s no rule that says they have to be. If your restaurant is having trouble filling the house at 2pm through out the week, start offering a deal. Not all happy hours have to be alcohol based. Want more customers on Monday mornings? Try offering a free side of bacon with any entree weekdays between 9am and 11am. Who doesn’t love a good trivia night or a fun game of name that tune? Restaurants are not only a place to eat but also a place to connect with your community. Consider hosting events that will appeal to your neighbors and drum up business at times that you wouldn’t normally see a crowd. 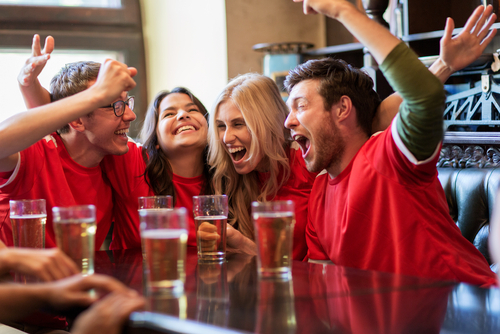 Monday night football is a lifesaver for many a sports bar; maybe a few TVs and some creativity could really boost your business. Loyalty programs—either old school punch cards or new school apps—can help you attract repeat customers any time of the week but these programs can also help you incentivize non-peak hours. Reward customers who visit your business during off hours with an extra punch on their loyalty card. You help them get to their freebie or discount faster and they help you fill seats during lulls. Don’t suffer through midweek slumps and lulls anymore. Take action and attract more diners today. Learn more about how SinglePlatform can help you get discovered and chosen today!